This is an exciting time to be part of the Shambles universe. We just finished recording our third full-length album with the legendary Jerry Brown at the legendary Rubber Room Studios in Chapel Hill, NC. Hey y’all, we’re gearing up to hit the east coast for a five show tour next week. Until then, enjoy the link from our appearance on “The State of Things with Frank Stasio” on WUNC. There is some exciting stuff brewing here at Shambles headquarters, and we can’t wait to share it with all of you. There are three hot opportunities this weekend and only two of them require your physical presence. Howdy folks! We just returned from Musikfest in Bethlehem, PA. The ten day festival is partially at the site of the former Bethlehem Steel Company, a massive steel mill that was once the largest shipbuilder in the nation. Enjoy these photos from our tour of Wilmington, Durham, Boone, and Knoxville! Over the past five plus years of being a traveling band, there have been two aspects that are among the best parts of the experience. One is seeing new places for the first time. We try to arrive early enough to soak in the spirit of a new place, from big cities to tiny towns. April is here, and with it comes longer days, warmer weather and a fine trio of shows! This Friday, April 6th, takes us back to an old stomping ground, The Pour House Music Hall in downtown Raleigh, NC. According to our meticulous note-taking, this will be our fifth (5!) appearance at the esteemed concert hall. We will be joined by James Olin Oden and friends for a rousing opening to the night. Tickets are available here. Next Thursday, April 12 will be our long awaited return to Washington, D.C. Come on down to The Hamilton for dinner and a show. We will be serving up an opening platter of Shambles hits before making way for The Hillbender’s bluegrass rendition of the classic album “Tommy" by The Who. We can’t wait to see what that’s all about. The show starts early, and tickets are available here. On Friday, April 13 (Friday the 13th, yikes!) 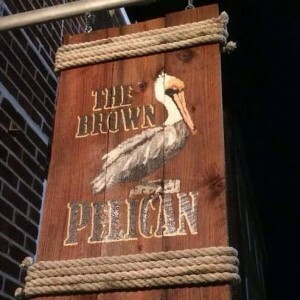 we’ll trek out to the coast to New Bern, NC for another visit to The Brown Pelican. This charming neighborhood watering hole has been a blast in the past and we expect more of the same this time around. This is a free show, so come hang out with us! We have been hard at work writing new music and spicing up old classics. We’re excited to share the music all spring and summer long. Stay tuned for more show and festival announcements, and check out the tour page to see where we’ll be next! Springtime is fast approaching, and the sleepy winter months can only push the snooze button a few more times. As the most ambitious flowers begin to bud, the good people here at Shambles Headquarters are ready to get back out on the road! It is with heavy hearts, but bright eyes to the future, that we say goodbye to our fiddlin' maniac Mr. Jonathan Ng. From all of us to you, it has been a truly remarkable experience making music and conquering the world with you. This picture sums it all up for me. In music, my brother. Hey y'all. We're fresh off of a thrilling and chilling Halloween show at our home base of Cat's Cradle. After a fiery set by fellow locals "The Oblations" and a Halloween themed set of our own, we joined forces to create "The Shamblations," a nine piece tour de force. Headed North to the Big City! After a long tour in August, we have happily enjoyed a September full of dates across the Old North State. From our Cat’s Cradle release show, Paperhand Puppet Show at NCMA in Raleigh, and festivals across Chapel Hill, Durham, and Charlotte, it has truly been an exciting month. People of the Triangle and beyond! We have been hard at work for two years with our beakers and test tubes to create our finest work to date. We wanted to celebrate with all of the fanfare that we could muster. Plus, we invited lots of friends to help take it off the ground and into the sky. Well, we finally made it home from the road. Our journey brought us to 11 shows in 7 states in 13 days. We stayed with family, old friends, and new friends nice enough to let us in for the night. In places that were new to all of us we spent the night with our old pal Red Roof Inn. Hey everyone! We just finished up a memorable four day run along interstate-40 in the great state of Tennessee. After a radio set on the Blue Plate Special, we booked it down 30 miles south into TOTALITY for the eclipse of a lifetime. Hello from the road! We’re coming off of four hot nights in a row, from punk rock clubs in Charlotte and Birmingham to listening rooms in Atlanta and Huntsville. Announcing the release of “Henhouse"
Today we present “Henhouse,” our second full length album and our finest work yet. These ten original songs were written by all of us over the last two years and recorded this January at the Rubber Room in Chapel Hill.